The Pappy Van Winkle brand must be one of the more bizarre stories in the whiskey world. From fairly quiet beginnings to now the most in demand bourbon in the world overnight (for now), it was at least interesting at first to figure out why. After the initial blast of rampant empty shelves, black market deals, fan boy gushing and even criminal activity in pursuit of purchasing a famed bottle, this wheated bourbon has passed through a fairly vigorous testing and review period of scrutiny. While being found fairly enjoyable, this writer’s opinion is that it has also been found not even remotely close to meeting the impossible expectations assigned by the buyer’s madness of the last few years. The “Pursuit of Pappy,” ironically, ruined the regular guy’s chances of enjoying a simple glass without any fuss. Before we go into particulars of today’s sampling, allow me to shape your perspective. The demand for Beam Global products, while certainly enjoyed and consistently consumed worldwide, doesn’t even put up a fight to the demand for the Family Reserve line of Pappy Van Winkle products. 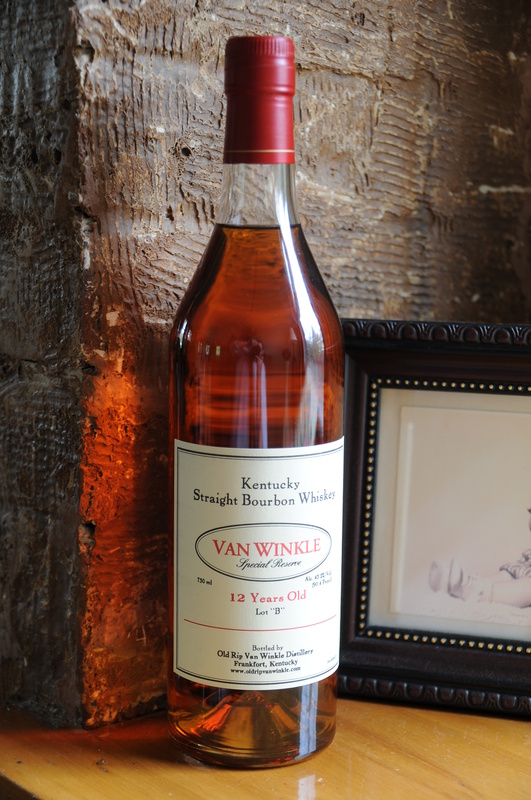 And here’s the fun part: Beam’s output is roughly 84 million bottles a year to Van Winkle’s 84,000 bottles a year, yet only one of those brands can sell for thousands on the auction block or Craigslist. Pretty sure you can figure out which one. Nose- Confectionary sweet with soft toffee, vanilla. Sharp oak balances out with time into warm caramel. Pecans/almonds and banana. Quiet lime note. Calming balance. Fruity sweet. Taste- Gently sweet with caramel and soft oak. Cinnamon with buttery vanilla. Lemon/orange citrus. Finish- Medium length. Warming, barrel char. Milk chocolate with blackberry. Drops off a bit. Comments– Ideal balance of oak aging and wheated sweetness. Certainly among the best wheated bourbons available and one of the best tasting bourbon’s you can find (or not find, in this case). Lacks complexity but makes up for it with lovely charm, much like the SWC. Agree? Disagree Let us know in the comments section below.